No matter how many emojis appear on our phones, we always want more. Whether it's a merman or a unicorn, we just can't get enough. And now Plan International are campaigning for the emoji we all really desperately want and need: the period emoji. Can I get a hell yeah? Show of hands: who ever uses the clamp emoji? What about the CD Rom emoji? What about the hazelnut? The goblin? How often, in your life have you used any of these in your everyday texts? We bet it's pretty minimal, right? And yet an the period emoji, that we would all use on the regular - we have one once a month for crying out loud! - is nowhere to be seen. We have a smiling poop emoji - a literal turd with a face - but we don't have a period emoji? Both natural things, but one is always excluded. What's the deal, Apple? Plan International feels our pain. The charity, that works towards equality for girls has today launched its campaign for the iOS guys to include a period emoji in our emoji keyboards. And what better day than today, Menstruation Health Day, to start their initiative that helps remove the stigma from having a period. Plus, you get to have your say - Plan International have mocked up five different designs, and are letting you vote on your fave. 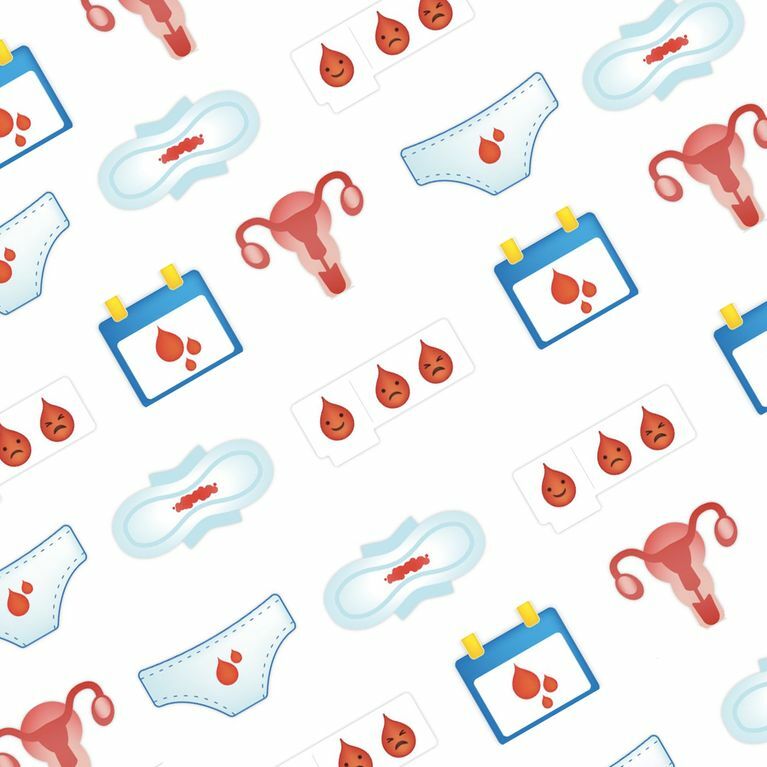 The emojis include a sanitary pad, a period calendar, a pair of period pants, a uterus, and some adorable little blood droplets. "Right now 800 million women, including people who identify as male or non-gender binary, are menstruating," said Plan International Australia youth ambassador Caitlin Figueiredo. "Yet in Australia and around the world, there is a strange belief that menstruation is disgusting secret women’s business. ​"The exclusion of a period emoji is a just another way to silence speech around menstrual health which contributes to stigma, shame, leading to yet more silence." The period emoji would bring menstruation into everyday conversations, and a survey by Plan International UK said half of women aged 18-34 would find it easier to talk to their partner about their period if there was a period emoji, and 45% of women would happily use the period emoji - especially when communicating with their partner. You can vote for your favourite period emoji by going to the Plan International UK official site. The winning design will be submitted, along with a detailed proposal, to the Unicode Consortium for consideration on the 2018 global emoji keyboard.